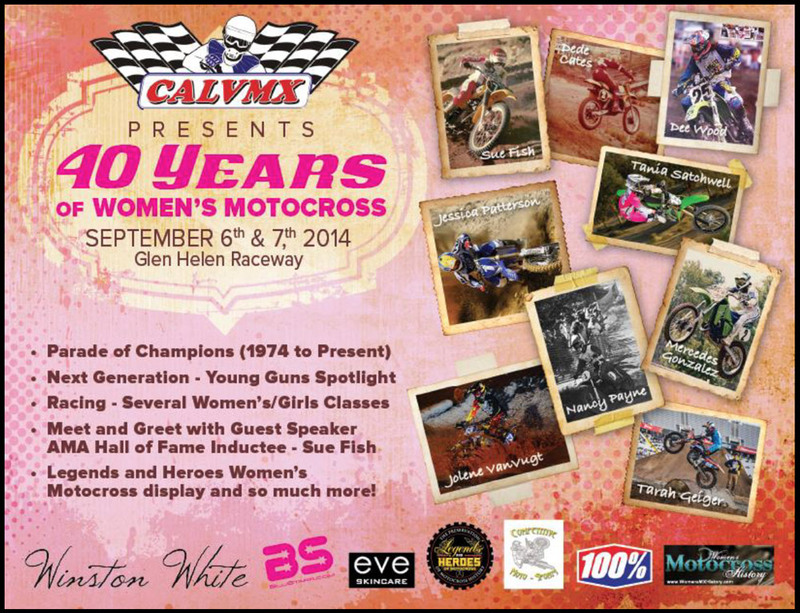 Come join us in Celebrating 40 Years of Women's Motocross! 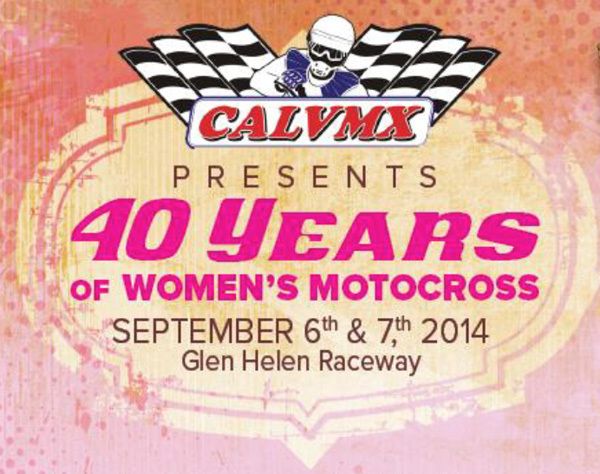 September 6th & 7th, 2014 Glen Helen Raceway As part of the CALVMX/AHRMA Race Weekend! For more info, please contact Tami Greenhill @ (951) 313-0380.